Pin it! 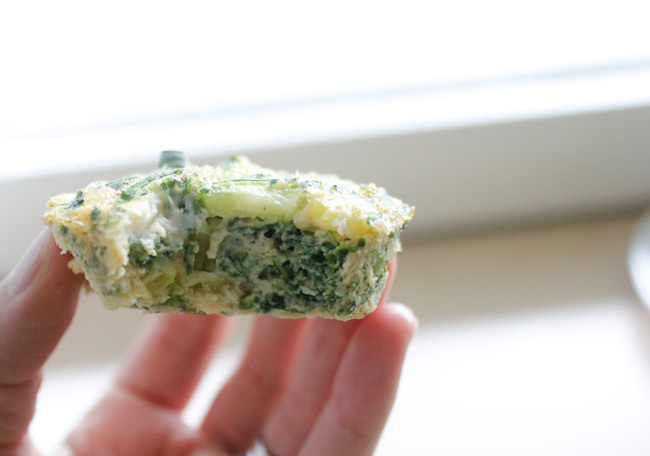 Kale and egg zucchini muffin recipe. I am temporarily testing out a grain-free, soy-free, sugar-free diet in an attempt to get my health back to 100%. This is easy when I'm at home, but bringing my vitamix with me for a weekend trip for a yoga workshop was just too much of a hassle (and sort of over the top). 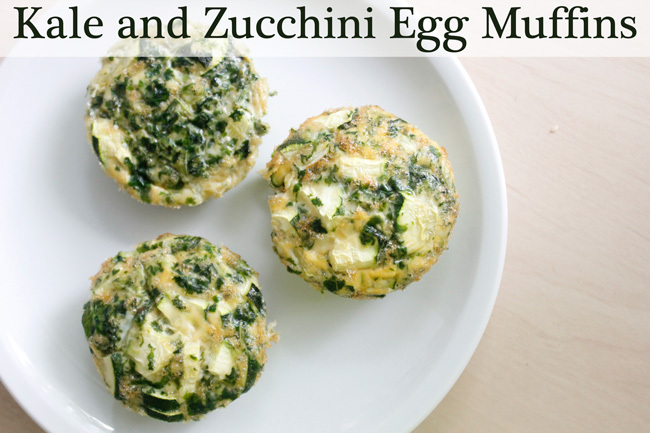 Instead, I decided on these kale and zucchini egg muffins. They are, like most things I make, easily customizable - just throw in whatever veggies you've got in your fridge and it's pretty much a guaranteed success. These taste great fresh out of the oven or cold the next day, so if you're the planning ahead type, make them the night before and grab and go in the morning. Easy! Preheat the oven to 350f. Mix the veggies, garlic and salt and pepper in the with egg. Then scoop 2T into each muffin tray (so they're just over halfway filled). Pop the tray in the oven for 20-25 minutes, or until the muffins have risen and you can pierce them in the center with a knife without any batter left on it. Eat and enjoy. PS- More easy, healthy breakfast recipes, 3 poses for hips, and what to do if your yoga teachers starts is being unprofessional.